Fills the grooves and ensures a completely smooth and uniform surface. 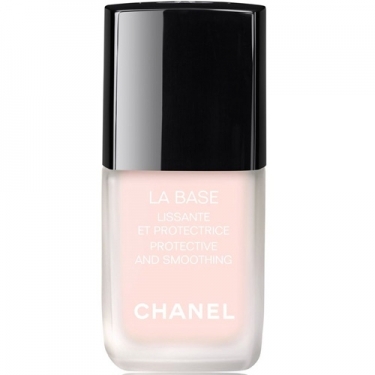 DESCRIPTION: La Base Lissante et Protectrice from Chanel is a complete primer that optimizes the application and duration of the nail polish. This primer makes the nails even more beautiful. Enriched with argan oil and vitamin E derivative, it strengthens brittle and fragile nails, preserving them from aggression, and corrects optically for yellow spots and imperfections. Or apply before the nail polish, to protect the nails and facilitate the application of the nail polish.